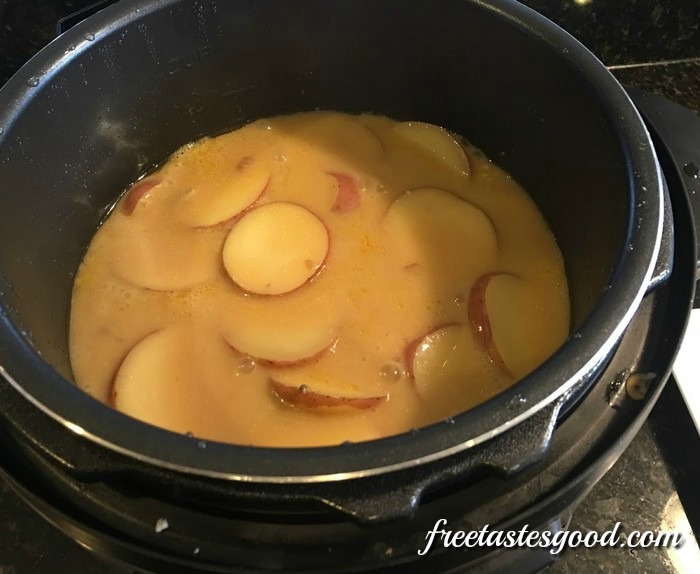 Pressure Cooker - Free Tastes Good! We heard all the hype about pressure cookers, so we finally purchased one. We have been experimenting with it and it is as AWESOME as they say. The time that it saves for meals is amazing, plus the meats are so tender, they just fall apart. 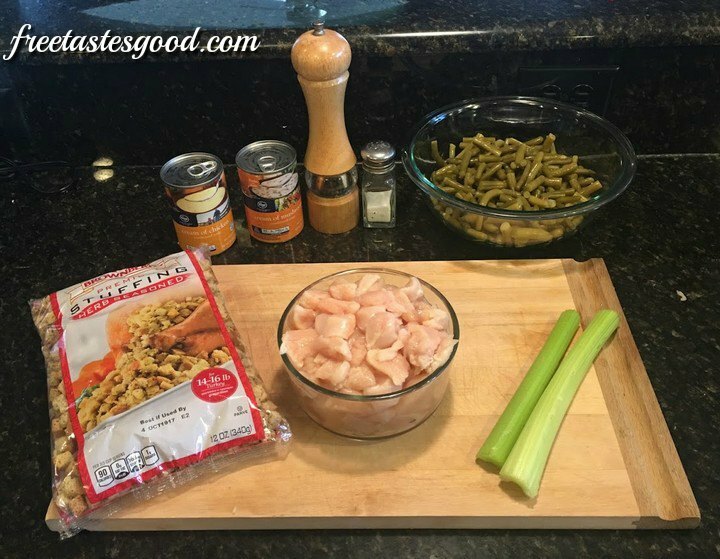 We like our casseroles with a little liquid so we choose to use 5 cups chicken broth. You first set your Instant Pot to saute and add the olive oil. Then you cook the chicken (until it is white) and the spices. 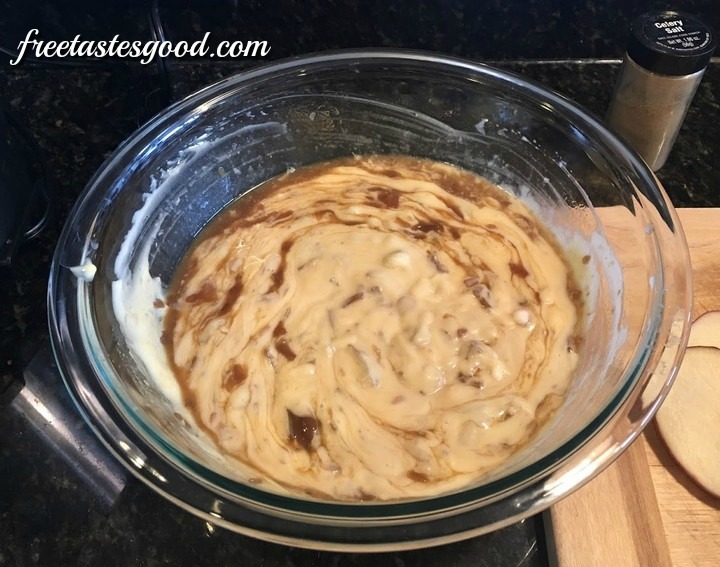 Just add the other ingredients and close the lid and BAM within 7 minutes it is done. It usually takes about 5-6 minutes to pressurize completely before it starts cooking, so total time from start to finish, prepping included, is about 20 minutes. 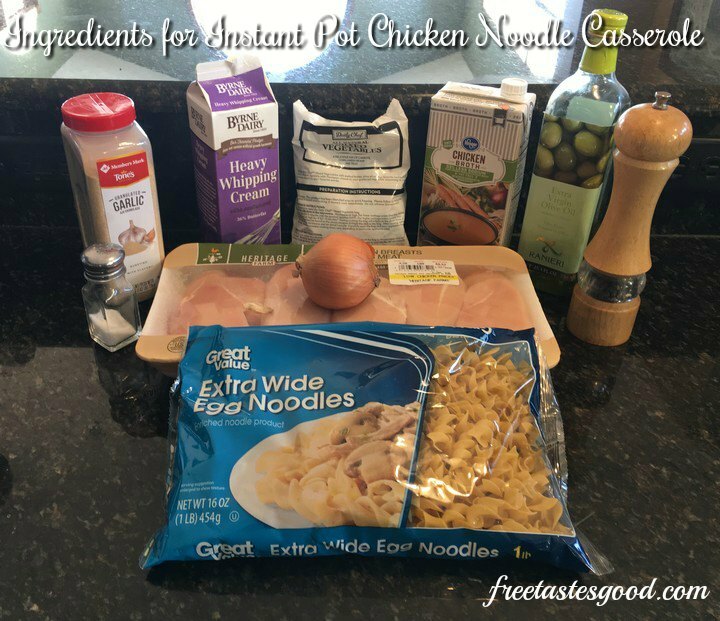 The chicken was super tender and the vegetables and noodles were cooked to perfection. When simmering, add the chicken and spices. Saute until chicken is white on the outside. Add egg noodles, vegetables, and broth. Set Pressure Cooker to “Manual” setting and program for 7 minutes. When done and beeps, use the quick release. Put IP back on saute and cook for another 3-5 minutes until thickens. Reduces cooking time by 70%. Make sure you stay out of the way of the steam when you release the pressure. Less dirty dishes, because it is all prepared in the same pan. 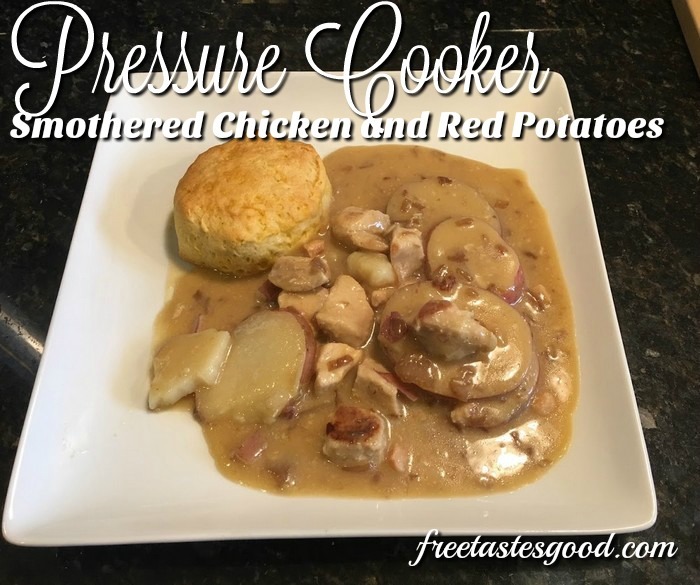 Have you used a pressure cooker? Please share your thoughts in a comments below! 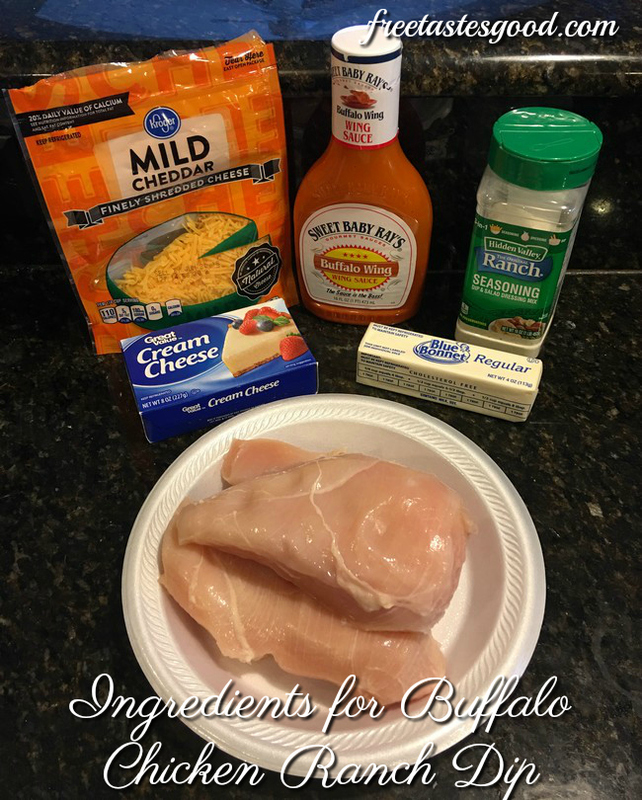 Instant Pot Buffalo Chicken Ranch Dip!! Here is one of our family’s favorite dishes. 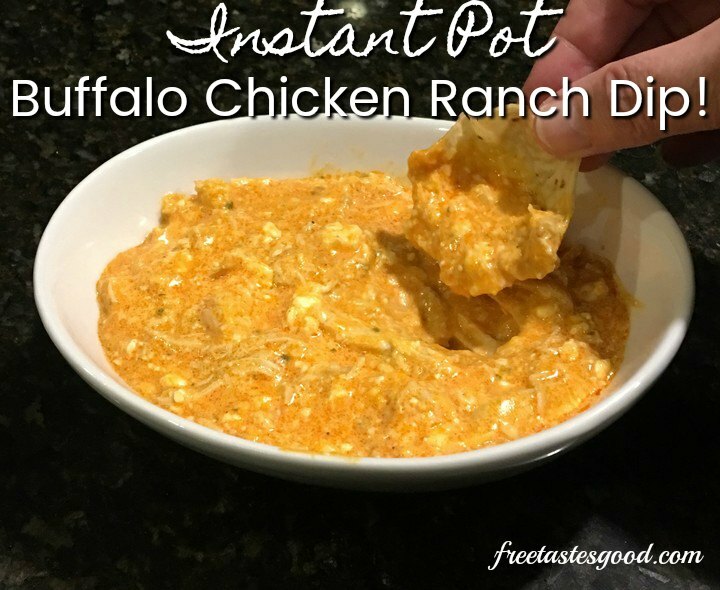 You can use it as a Buffalo dip or use it as shredded chicken and serve on a bun or you can eat it both ways. We make this a couple times a week as our son, Isaiah, loves to take this to lunch as a sandwich. 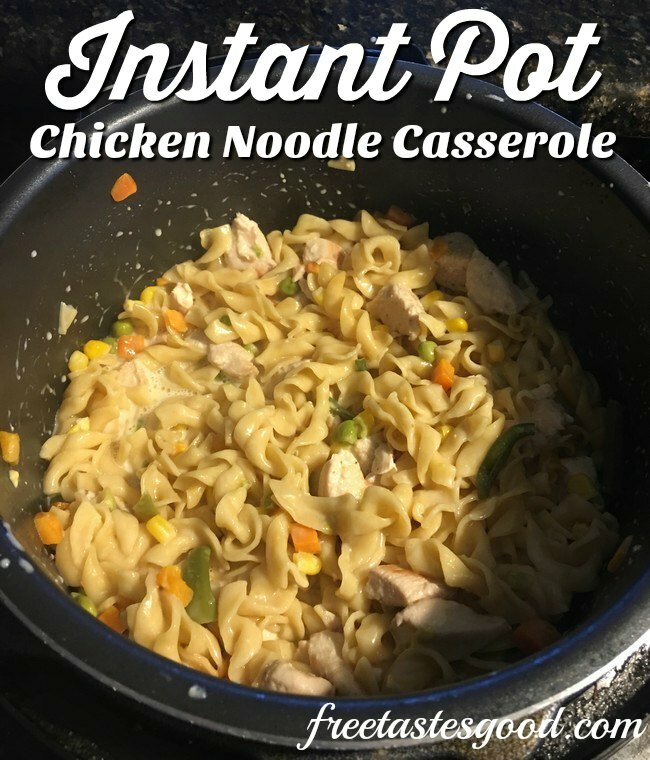 This is so easy and you can even make it with frozen chicken, will just need to cook a bit longer. Add chicken, butter, ranch dip, cream cheese, and your favorite hot sauce. Cook and then add cheese and it is ready to serve. Our favorite hot sauce is the Sweet Baby Ray’s Sauce, but you could use Frank’s Red Hot Sauce or any other. We only use 8 oz of cheese, but I know some like it more cheesy. If that is the case, be sure to use 16 oz. 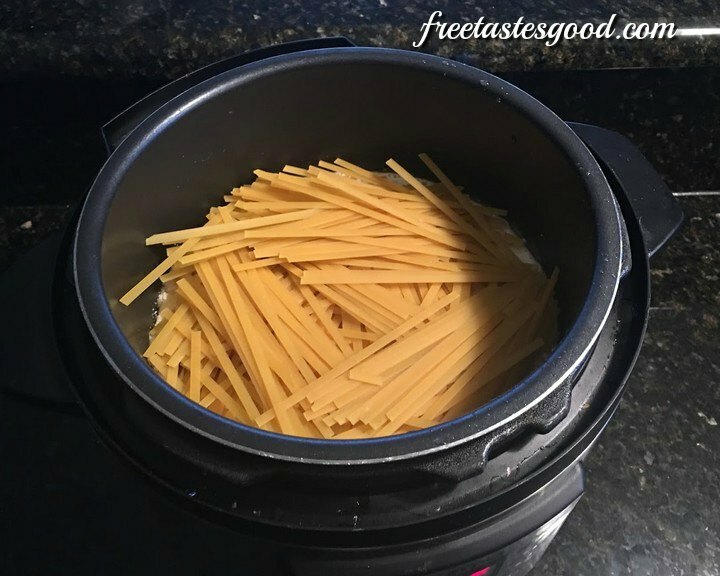 This is perfect for families on the go that need a quick meal. 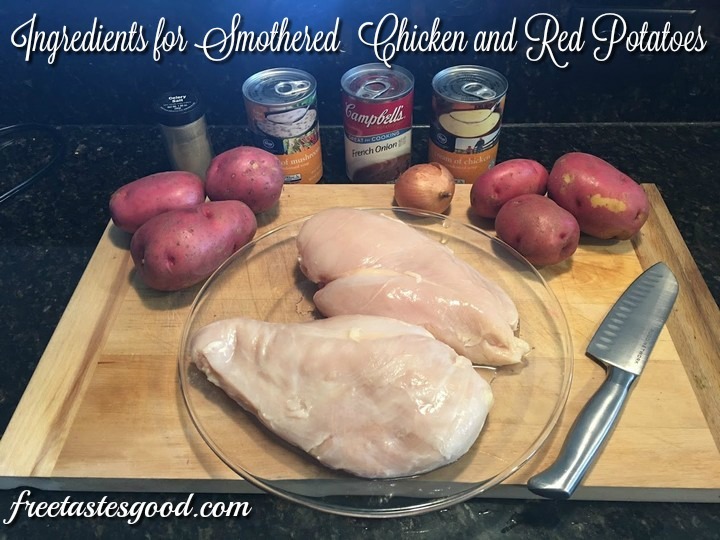 I love it that you can use it as a snack or actually make up shredded chicken sandwiches and serve with french fries and BAM – you have a meal 🙂 This is truly one of our kids’ favorite meals/snacks. 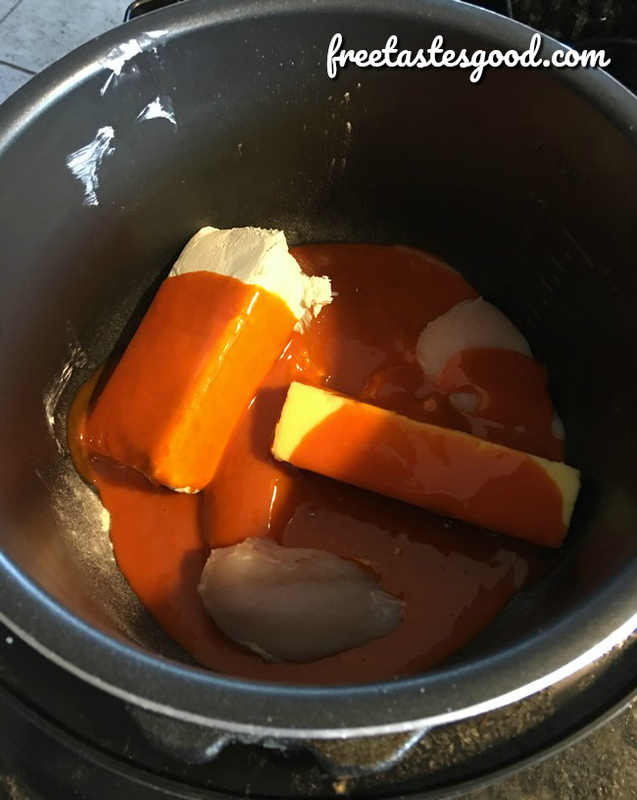 Place chicken, cream cheese, ranch dip, butter, and hot sauce in your instant pot. When finished, use the quick pressure release. 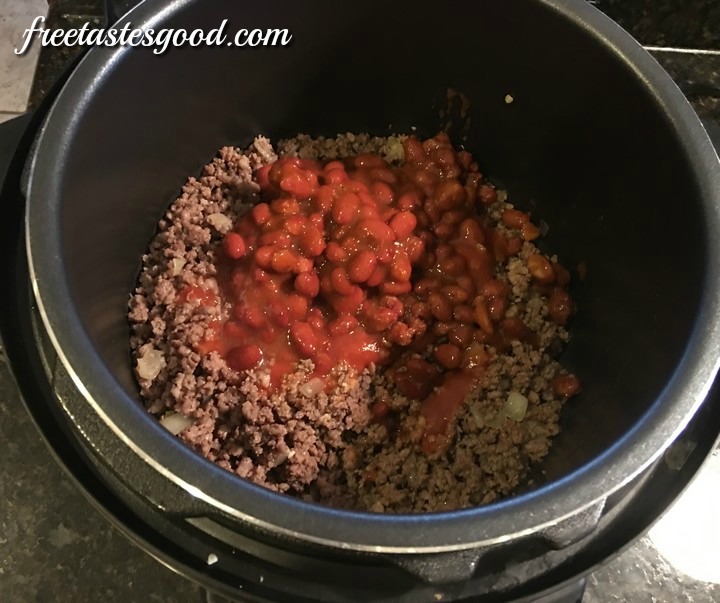 Have you used an instant pot or pressure cooker? Please share your thoughts in a comments below! 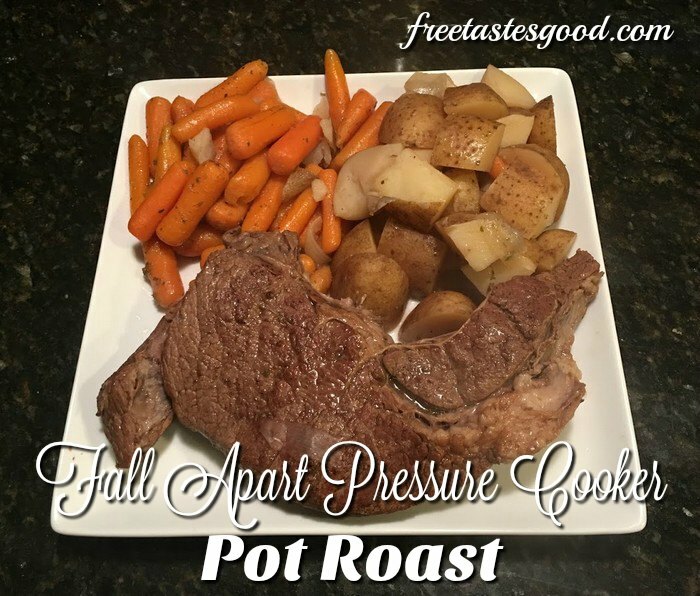 I love that you can saute and do all the work right in the pressure cooker. No need to dirty any other pans, just one pot for all the steps. The meat for this meal was falling apart in only 75-90 minutes. 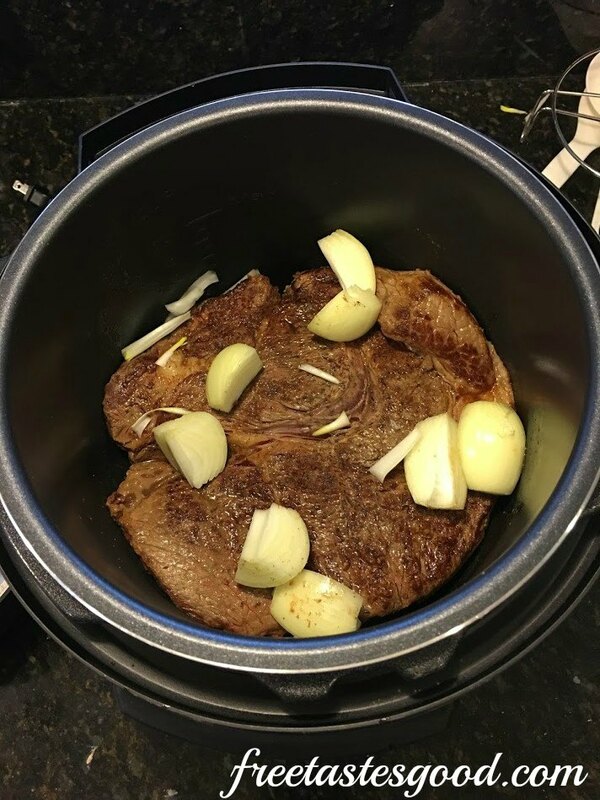 The old way of ALL day in a crockpot or half a day on the stove top is done in just over an hour in the pressure cooker. This is perfect for families on the go that need a quick meal, but a hearty, healthy meal. We are still experimenting but expect to have many other recipes soon. When simmering, add the pot roast. Cook 2-3 minutes on both sides until brown. 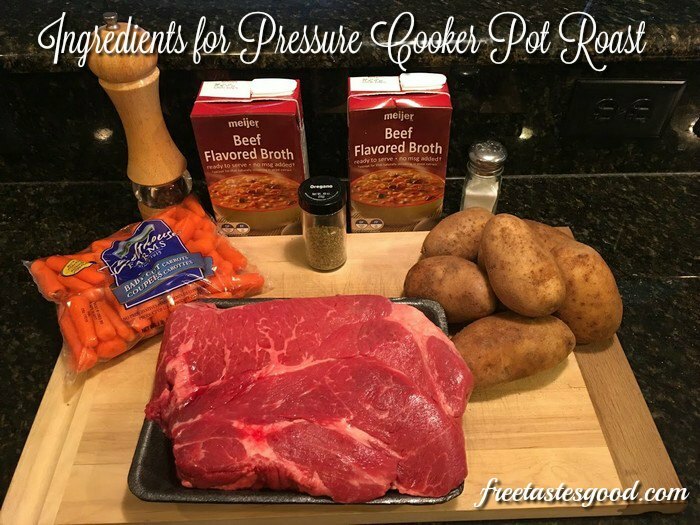 Set Pressure Cooker to “Manual” or “Stew” setting and program for 75-90 minutes. 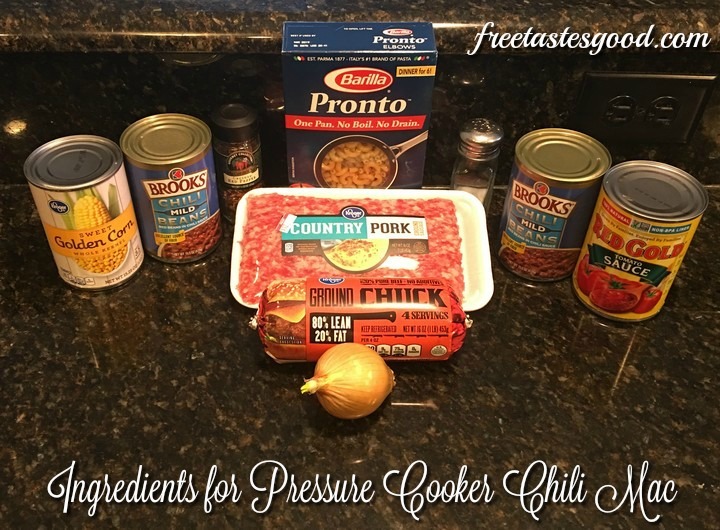 Set Pressure Cooker to “Manual” or "Stew" setting and program for 70 minutes. 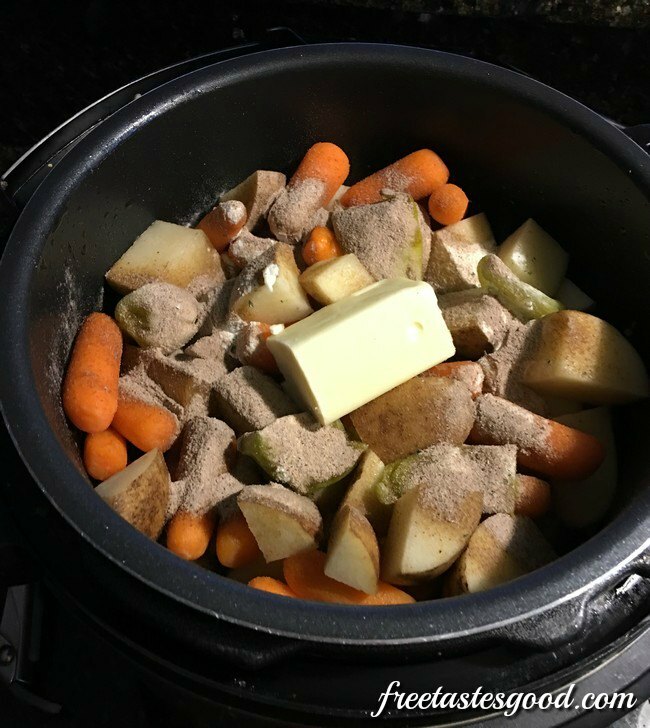 This is one of our all time favorite slow cooker meals. 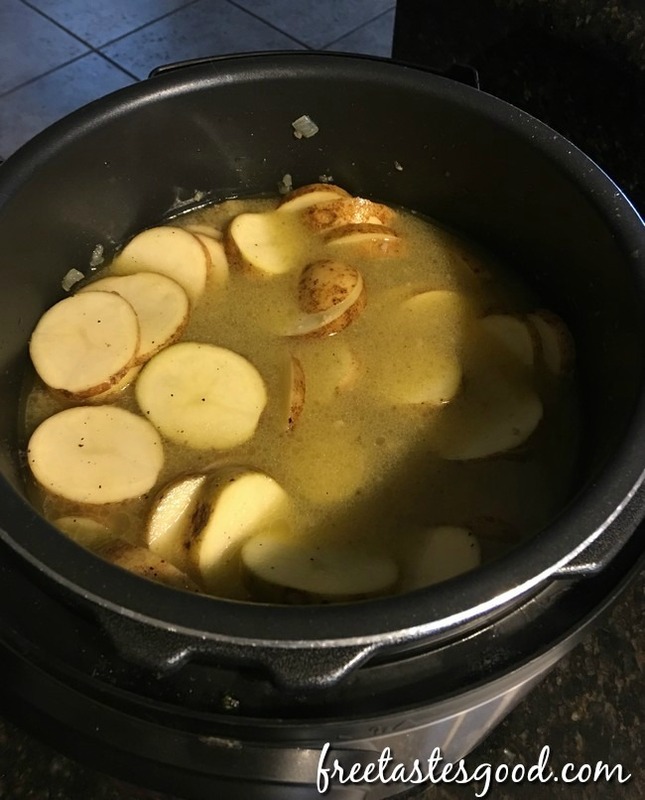 One that cooked for hours to get the potatoes soft. 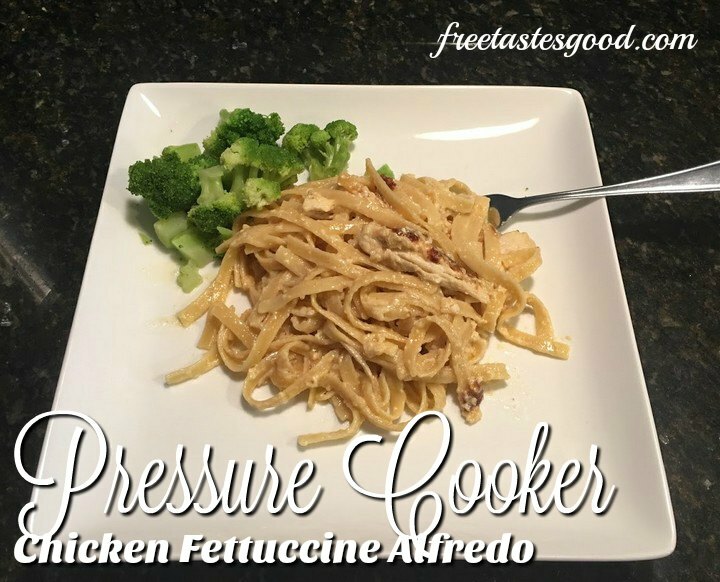 I tried it in the pressure cooker and WOW!!! It was done start to finish in 30 minutes! That’s prep, cooking, and on the table in a 1/2 hour!! 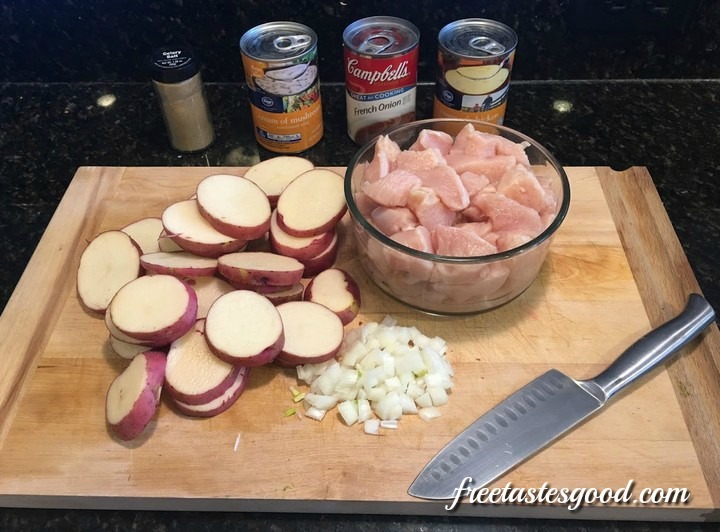 This is so easy, chop onion, cut potatoes into 1/4″ slices, cut chicken into bit sized pieces, combine the 3 cans of soup and that’s pretty much it! 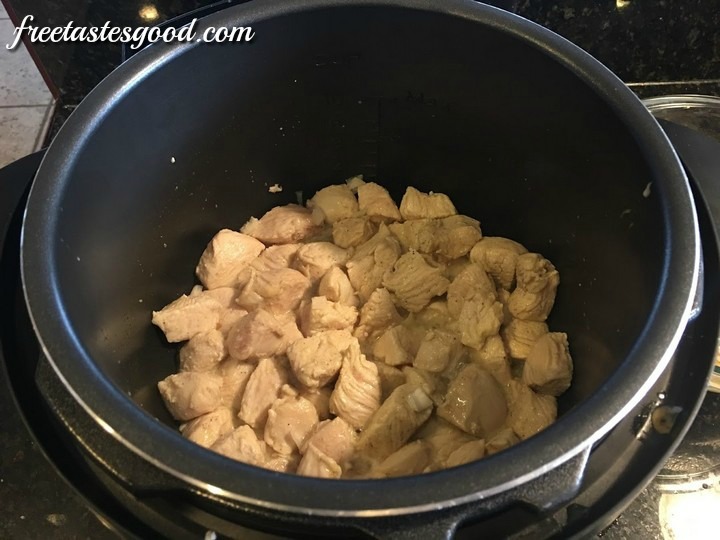 Set the pressure cooker to saute and add a T of oil to lightly brown the chicken, add chopped onion, layer the potatoes on top, and pour over the soups. Lock down the lid and set to poultry for 10 mins and start getting out your dishes cause dinner is going to be done before you can sit down. 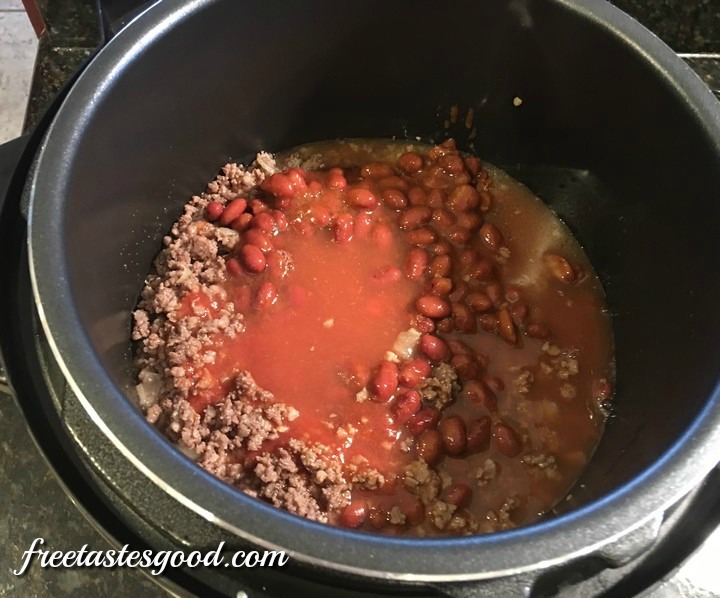 This is perfect for families on the go that need a quick but hearty, healthy meal. We are still experimenting but expect to have many other recipes soon. Combine all 3 cans of soup and mix well. 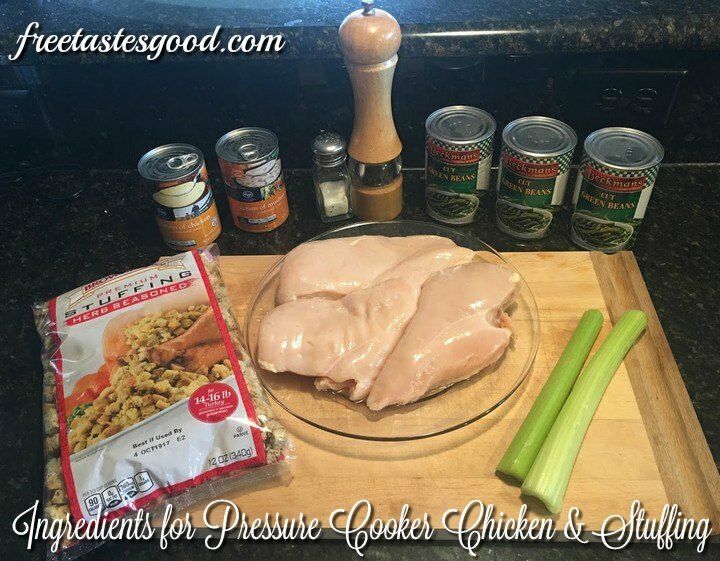 Set the Pressure Cooker to saute and lightly brown the chicken. Add the onions. mushrooms, and garlic and mix. Change the setting to poultry for 10 minutes. Once it is done, allow pressure to release naturally for about 5 minutes then quick release the rest. Combine all 3 cans of soup and blend. Set the pot to saute and lightly brown the chicken. Add the onions. mushrooms and garlic and mix. Layer the potatoes on top of the chicken and pour over the soups. Once it is done allow pressure to release naturally for about 5 minutes then quick release the rest. 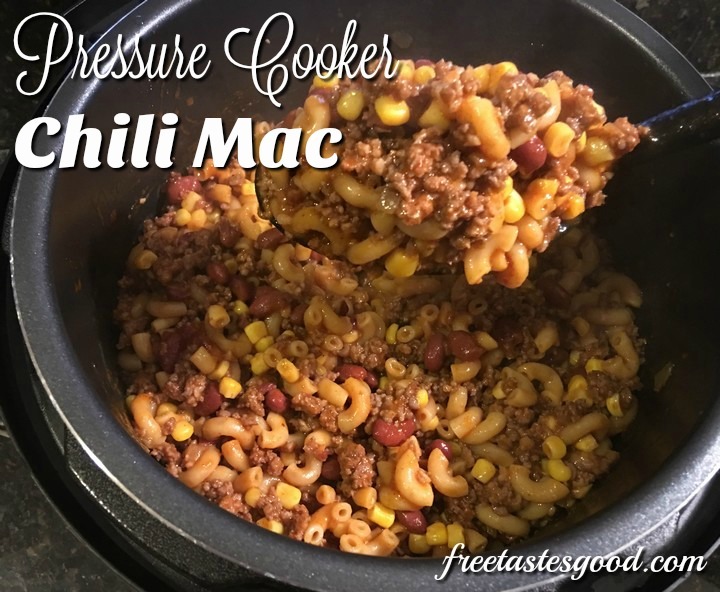 Here is a hearty Chili Mac in minutes with the pressure cooker. 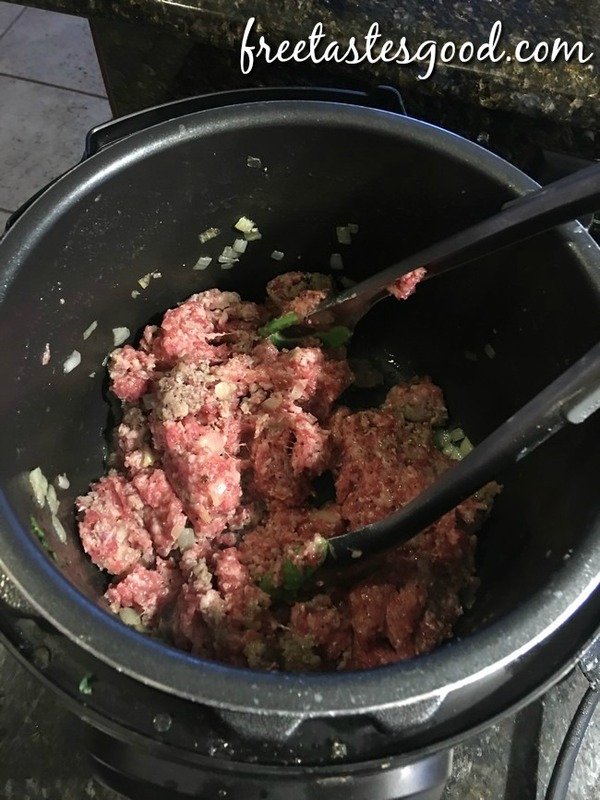 Browning the sausage and burger takes as long as the pressure cooker does to cook the rest. Truly dinner in about 15 minutes from start to finish. This is so easy, chop onion, mince garlic and add to beef as it browns. 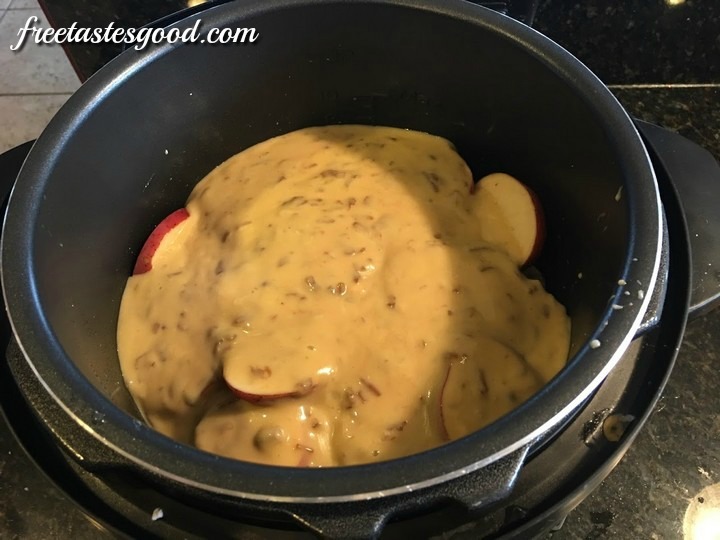 Drain fat, brown sausage combine with beef in the pressure cooker, pour in the rest, a quick stir, lock the lid set to manual for 5 minutes, quick release, add corn and stir. Top with cheese and serve with tortilla chips or saltines. You can saute the beef, sausage, onion, and garlic in the pressure cooker but I prefer the stove top method. You can either brown the meat on the stovetop or in the pressure cooker. If using the pressure cooker, put oil in the cooking pot and select Saute. Sauté meat, onion, and garlic until meat is cooked and onion is tender. Add beef, water, macaroni, tomato sauce, , chili powder, red pepper flakes, salt and pepper to pressure cooker and mix. Cook for 5 minutes on high. When finished, use the quick quick pressure release. Mix in can of corn. Select sauté and cook until corn is heated and macaroni is tender. 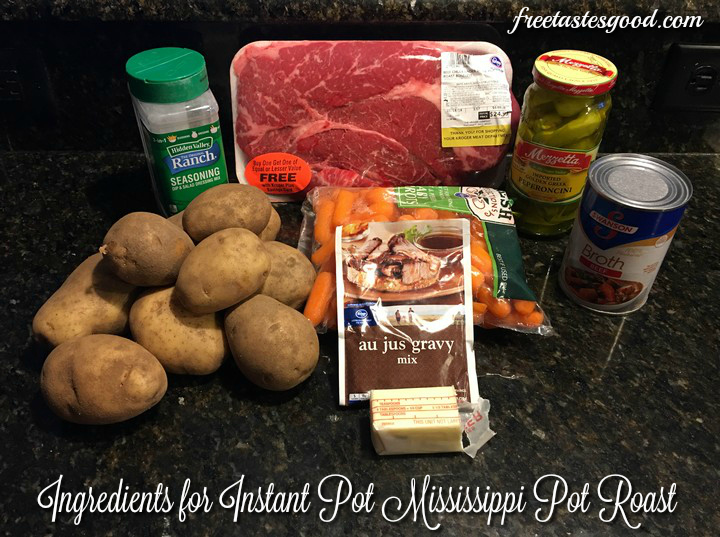 Instant Pot Mississippi Pot Roast and potatoes! I love that you can saute and do all the work right in the pressure cooker. No need to dirty any other pans, just one pot for all the steps. 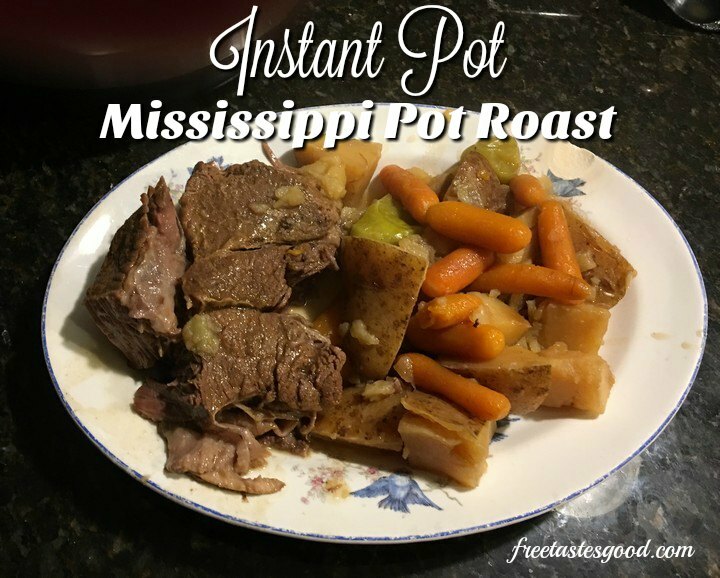 I have heard so much about the Mississippi Pot Roast so thought I would give it a whirl. I changed a few things so it wasn’t quite as salty or spicy and it turned out perfectly. The meat for this meal was falling apart in only 85 minutes and the vegetables were perfectly cooked. 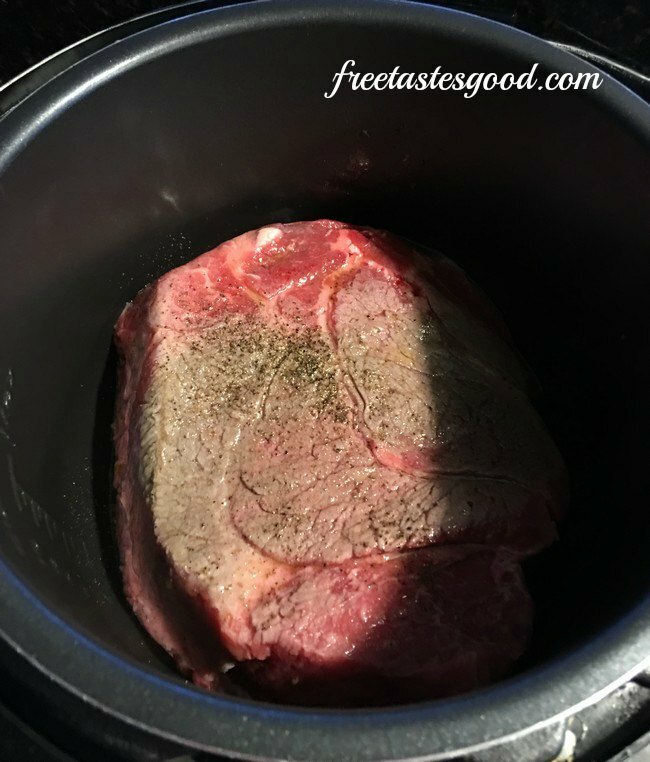 The old way of ALL day in a crockpot or half a day on the stove top is done in just over an hour in the pressure cooker. This is perfect for families on the go that need a quick meal, but a hearty, healthy meal. We are still experimenting but expect to have many other recipes soon. Set Pressure Cooker to “Manual” setting and program for 85 minutes. 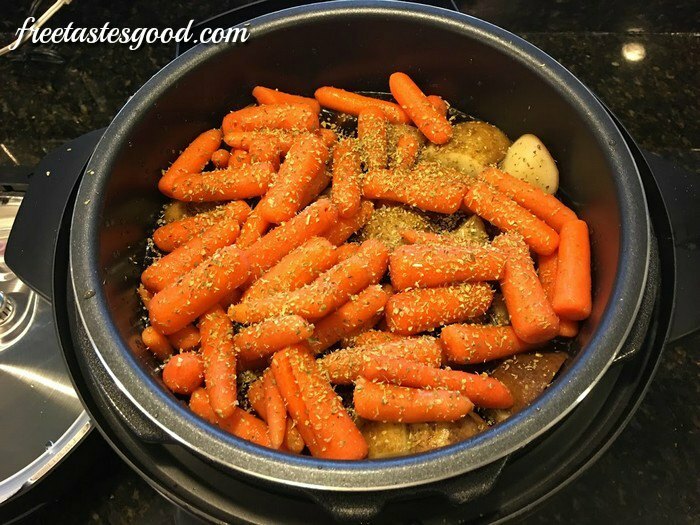 If you want to make gravy, which is awesome, remove all the meat and vegetables. Leave juice in. Mix 3 T corn starch and 3 T water to juice. Put IP back on saute and whisk the corn starch and water to juice. This is AMAZING GRAVY!! Put IP back on sautee and whisk the corn starch and water to juice. This is AMAZING GRAVY!! 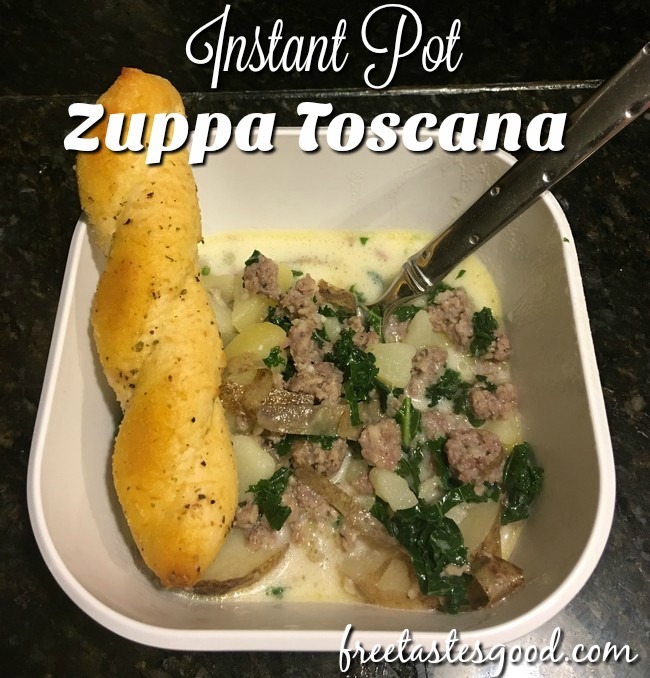 Instant Pot Zuppa Toscana – Olive Garden CopyCat! Has anybody tried the all you can eat soup, salad, and bread sticks at Olive Garden? It’s AWESOME isn’t it? 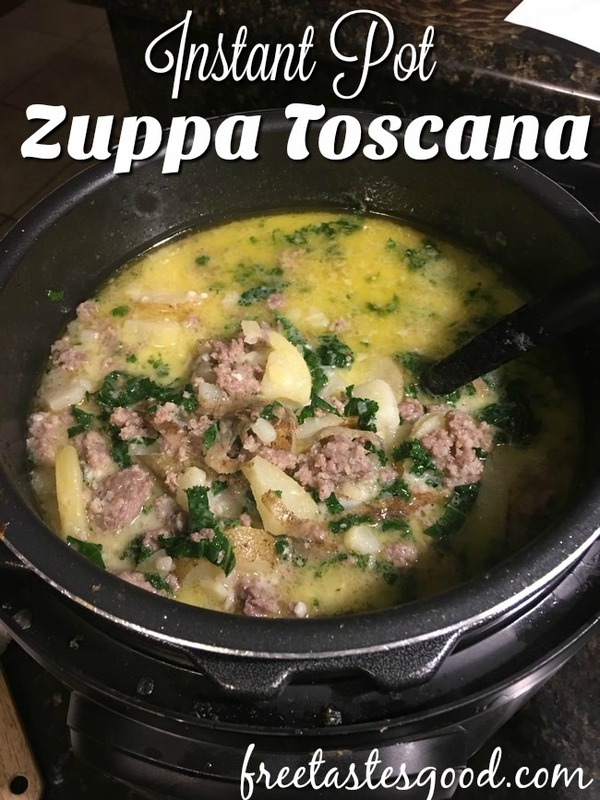 The Zuppa Soup is the BEST and we figured out how to make it in minutes in the instant pot (pressure cooker). This recipe is so fast and delicious, but takes like it has been simmering all day. The best part is it is all done in the pot so clean up is a snap as well. I make ours extra hearty so I use more sausage and potatoes. This is one of our family’s favorite meals. The only prepping is dicing the onions and slicing the potatoes, otherwise, all you have to do is brown the sausage. When cutting the kale just make sure to remove the leaves from the stem as those will not soften/wilt when added to the soup. Use the “saute” function on the Instant Pot and heat olive oil. Add potato slices, chicken broth, and water. Lock the lid into place and set to “seal”. When complete, allow a natural pressure to 10-15 minutes, followed by a quick release. When pressure valve drops (will take about 3-5 minutes), remove the lid and add kale to the pot. The heat will wilt the kale as you stir. Use the "saute" function on the Instant Pot and heat olive oil. Lock the lid into place and set to "seal". 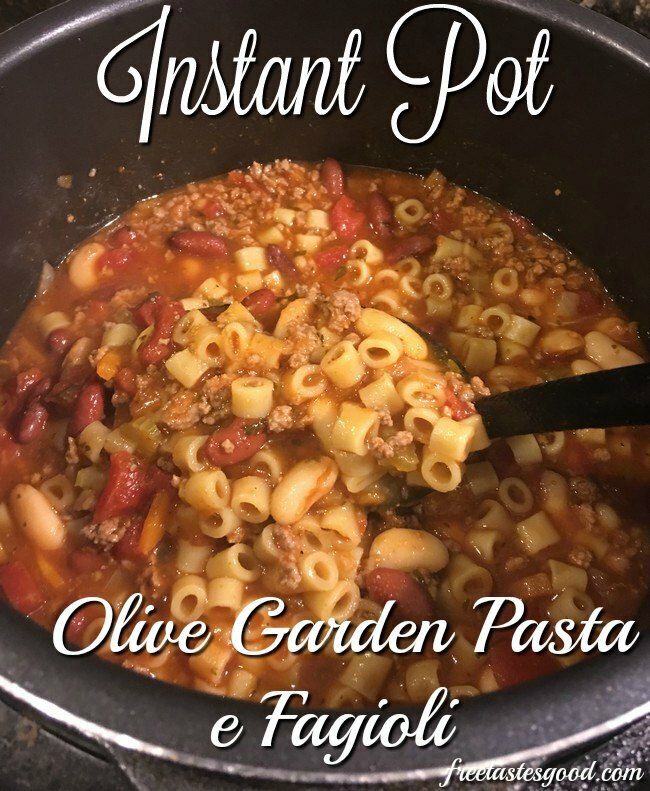 If you have ever gone to Olive Garden for the unlimited soup and salad, chances are you’ve tried the Pasta Fagiola. It’s like an Italian version of chili. So hearty and delicious. This soup has a combination of beef, vegetables, beans, and pasta. The salad and bread sticks are the only thing missing. The recipe for this one makes a lot. There is very little prepping to this, just browning your burger on saute, and chopping your veggies. I found the carrots are best shredded in the food processor. If you don’t have one you can buy them already shredded or run carrot sticks across your cheese grater. My feeling is a little extra TLC goes a long way when preparing a delicious soup. 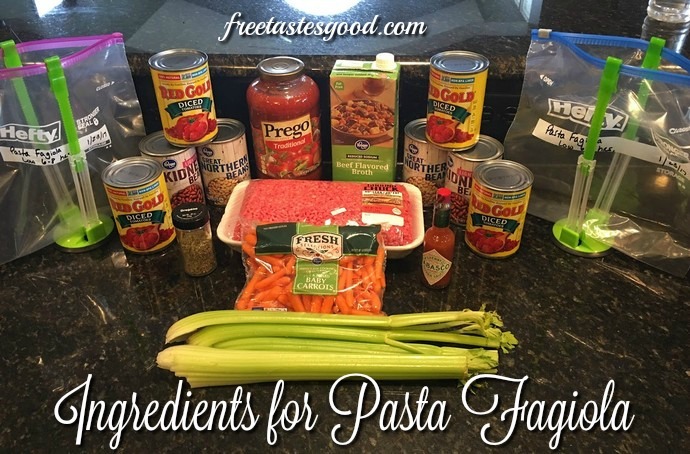 The biggest thing to remember for this meal is to do the QR (quick release) as soon as it beeps so the pasta does not overcook and become mushy. Add olive oil to pot and press saute. 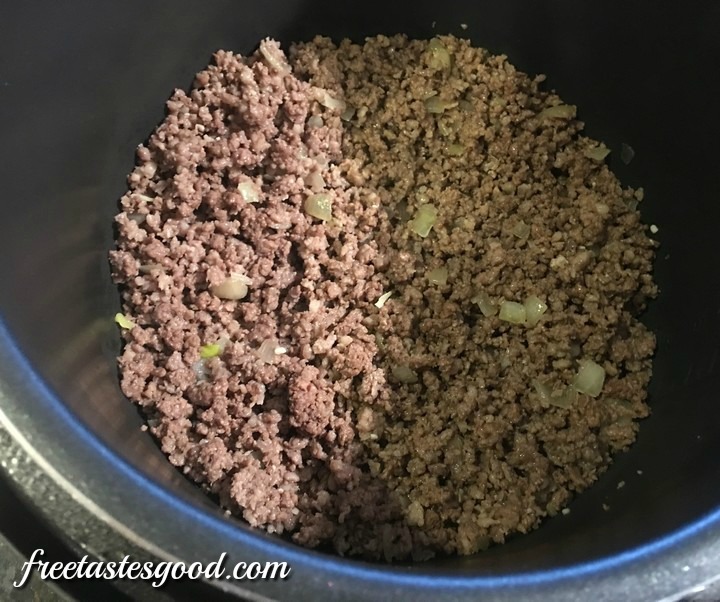 When hot, add ground beef and saute until brown. Add all spices, diced tomatoes, and beans, stir. Add Ditalini pasta (uncooked) and cover with pasta sauce. Do not stir. When IP beeps (done cooking) use the QR (quick release so pasta stops cooking) until all pressure is released. Open lid when all pressure is released (Silver button will drop) and stir. Serve with a nice salad and garlic bread sticks. 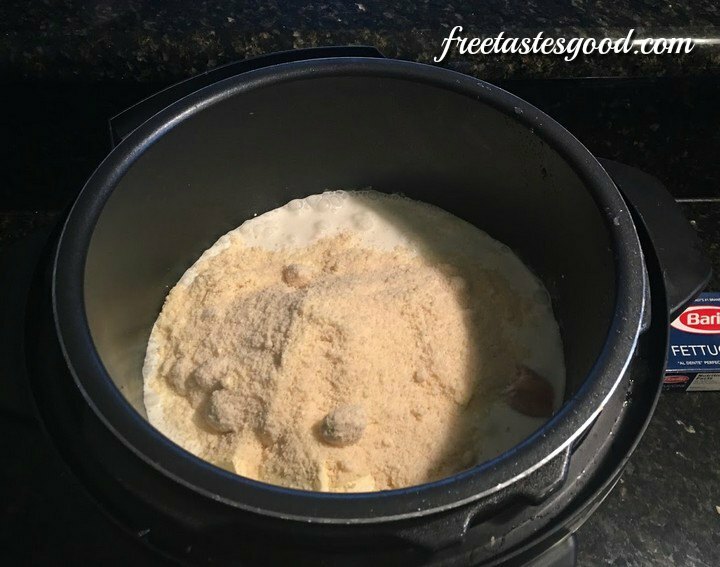 Have you ever frozen a meal for your crockpot before? Please share your thoughts in a comment below! This dish is one our daughter Lara started making a few years ago and does very well in the pressure cooker! The best thing about the pressure cooker is how quick it is to put a meal like this on the table. 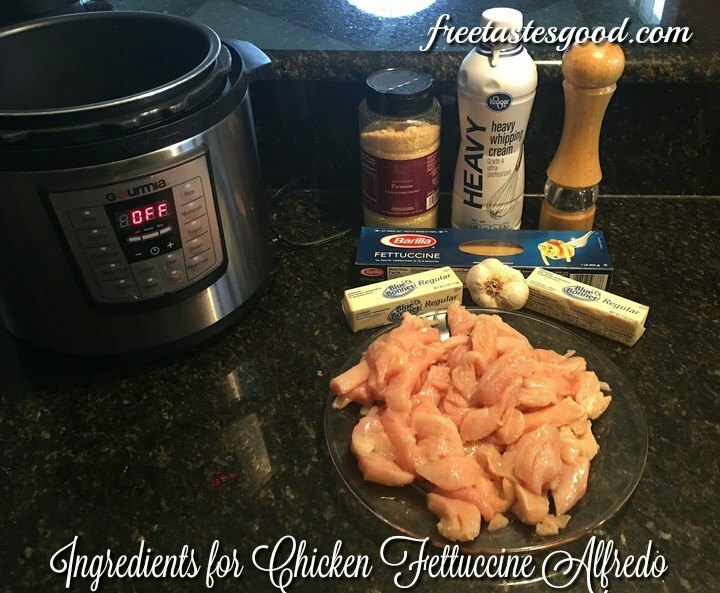 This is so easy, cut chicken into bit sized pieces, then combine heavy cream, butter, Parmesan cheese, garlic, and pepper in the pot. Next, top with fettuccine and start the pressure cooker. Throw some garlic bread in the oven and steam a bit of broccoli and you’re ready to eat. 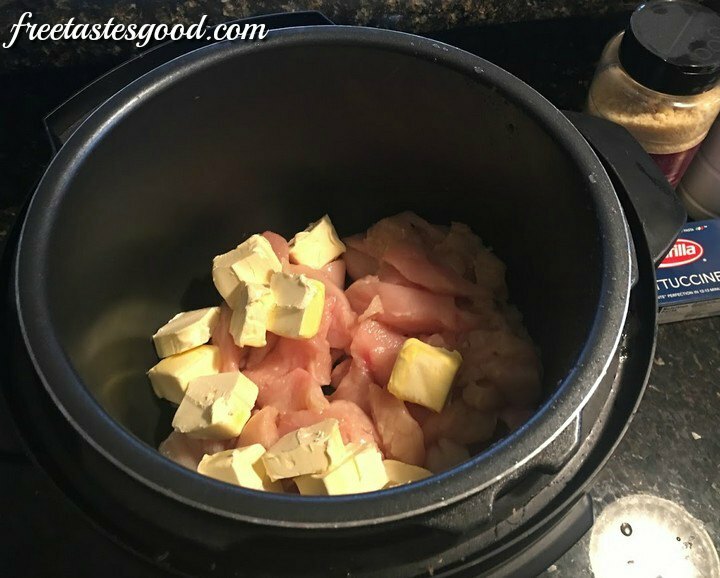 Cut the chicken into chunks and add to the pot. Cut butter and add over the chicken. Add garlic, pour in heavy cream, and add Parmesan cheese. Once it is done, allow pressure to release naturally for about 5 minutes, then quick release the rest. This dish came from one of our favorite oven meals, a dish Jamie brought to our marriage. 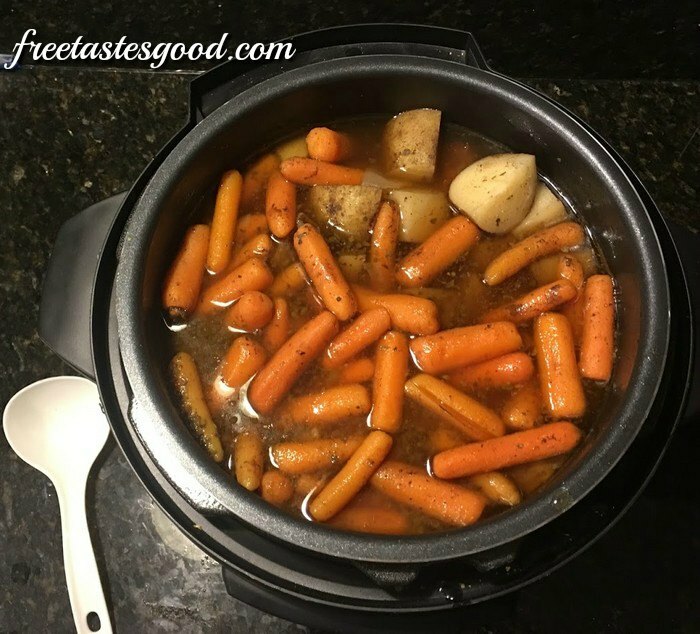 So we decided to try it in the pressure cooker and it worked great and in far less time!! We managed to cut out a couple of steps by cooking it all at once in the pressure cooker! 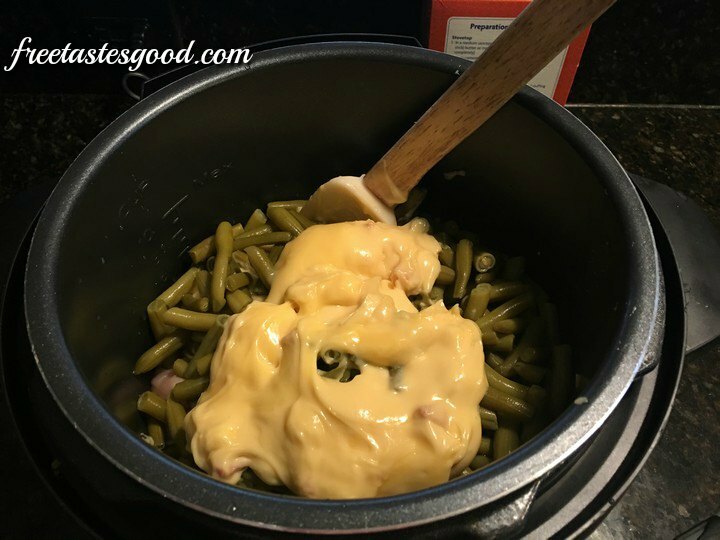 This is so easy, cut chicken into bit sized pieces, open a couple of cans of green beans, combine the 2 cans of soup and that’s pretty much it! 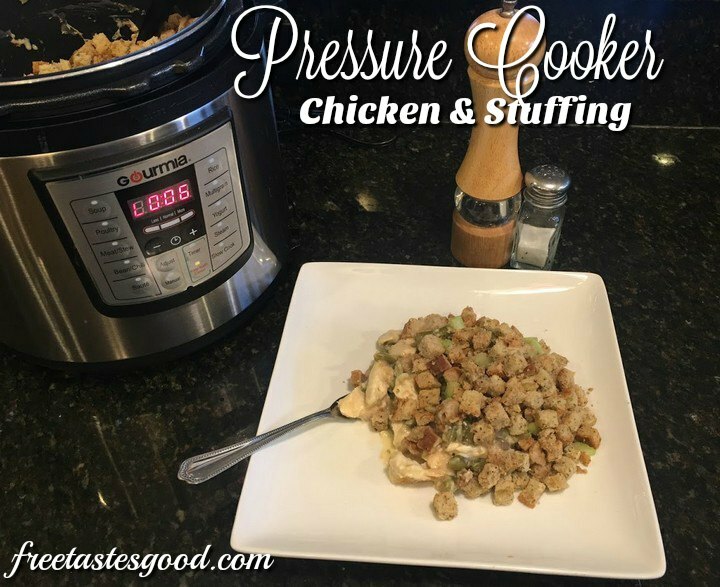 Set the pressure cooker to poultry for 10 mins and get ready to eat it’s just that easy. 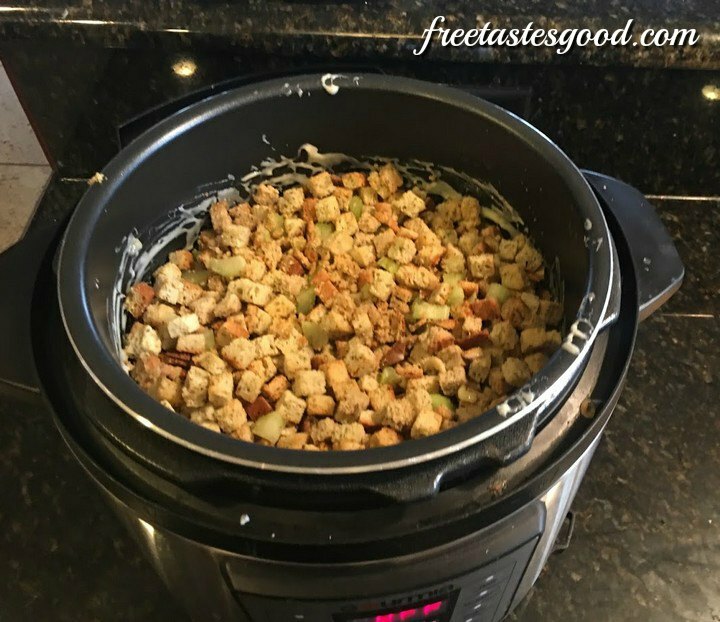 One tip to this meal is to not over fill the pot with the stuffing, it can cause the cooker to not pressurize.